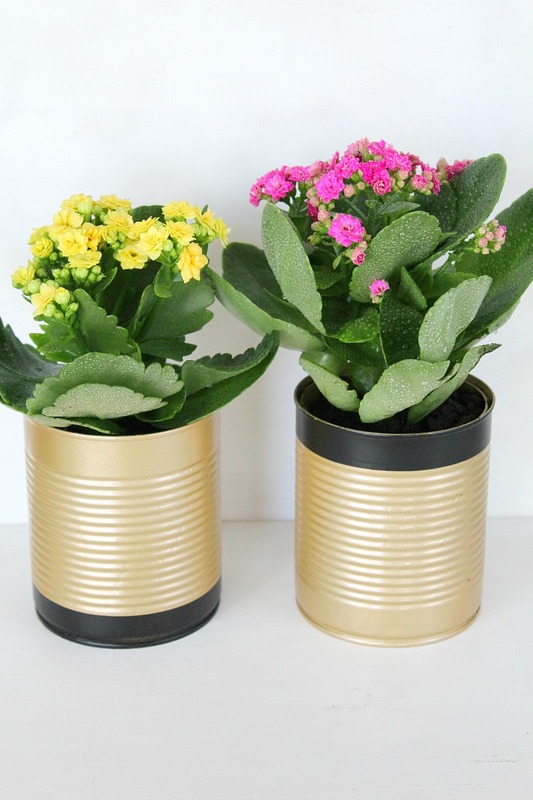 Tin cans are a really good material that can be easily upcycled. Any cans are good and you no longer have to throw them away and with them your money. Because let’s be honest here! when we buy canned products, we pay more for the tin can than the product itself. With just a few design ideas of your own you can transform these cans into pretty and useful items to decorate and personalize both your home and garden. I like using the cans with a pop up or easy-open lid so there are no rough edges on the cans once I remove the lid so there’s no room for injuries. 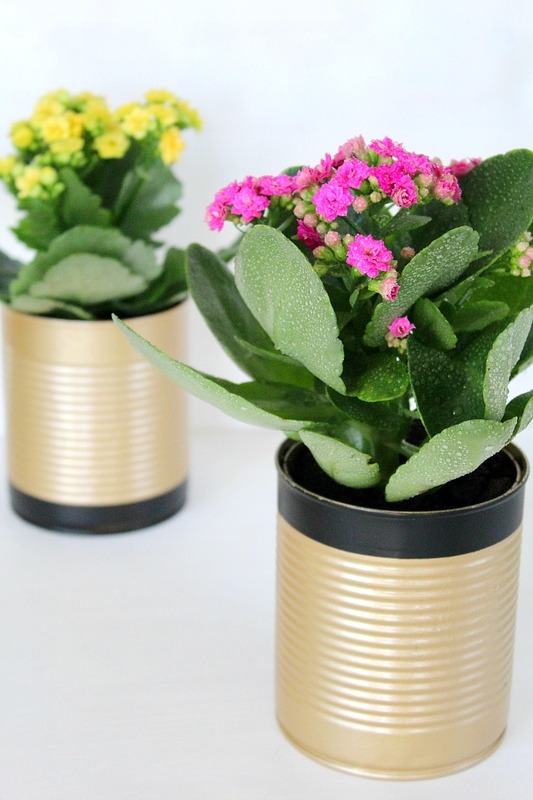 These tin can flower pots are insanely easy to make you’ll want to find more ideas to upcycle all your tin cans in the future! 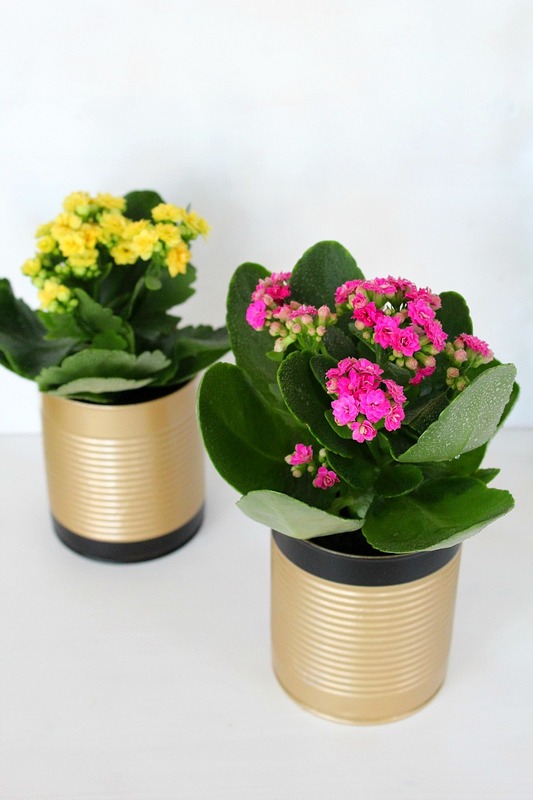 There are many ways you can use tin cans to make flower pots but I think the easiest and fastest is by painting them in the color and design of choice. if you’re a good designer you can create some super duper flower pots (unlike yours truly here, who’s a total disaster; and I call myself a creative blogger, ha! ).